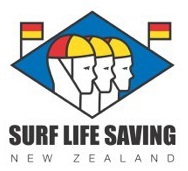 Water Safety New Zealand (WSNZ) says the deaths of four people in preventable drowning incidents over Waitangi weekend reflects the challenges faced by the water safety sector. There have now been 31 preventable fatal drowning incidents since December 1st 2016. CEO Jonty Mills says there needs to be a dramatic change to Kiwis attitudes and behavior around water, and a shift in how water safety is perceived and funded. Jonty Mills says while industry surveys, campaigns and research show water safety messages are reaching their target audiences, behaviour is not changing. The eight preventable drowning deaths of the official summer holiday period is an illustration of this. Six different age groups across five different environments, five different ethnicities and six different activities. Mills says there needs to be a rethink around how we approach and fund water safety. Mills says the sector needs to attract more funding and while additional government support would be welcome, funding alone will not solve the problem. While the fatalities grab the headlines, the personal, social and economic impact of non-fatal drowning incidents for families and the country is significant. “Drowning is not just a death or full recovery scenario. Sadly, there are long term consequences for many as a result of serious brain, spinal or head injuries,” says Jonty Mills. He says it must start with education and his organisation is directing most of its funding towards giving 5 – 13 year olds life-long foundational skills through it’s Water Skills for Life initiative. Original generation time 1.9121 seconds.